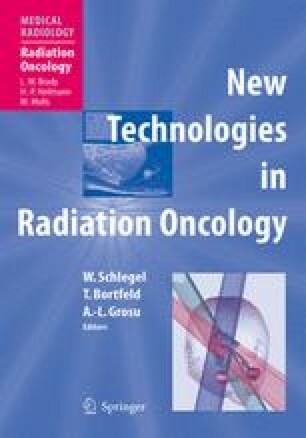 Dose calculation algorithms play a central role for the clinical practice of radiation therapy. They form the basis for any treatment plan optimization, a feature which becomes increasingly important with the development of complex treatment techniques such as IMRT. The role of highly accurate and therefore mostly time-consuming dose algorithms, such as superposition algorithms or Monte Carlo simulations, in clinical radiation therapy is still under investigation. Their increased accuracy offers substantial advantages for clinical cases which involve intricate tissue inhomogeneities. Even if in many radiotherapy centers the treatment plans are still based on the pencil-beam method, its general applicability to inhomogeneous clinical cases has to be questioned. On the other hand, inside quite homogeneous regions, as in the central head region or the abdomen, the pencil beam generates dose distributions with excellent precision and provides the best trade-off between accuracy and calculation times. In the case of severe tissue inhomogeneities the superposition method produces dose distributions which fairly cover the target region, even if minor differences are observed in comparison with Monte Carlo calculations. These offer the best prediction of the deposited dose inside arbitrary tissue types. Some Monte Carlo-based programs already offer computation times comparable to those of superposition algorithms, and therefore their applicability in clinical practice will probably further increase for a small and special class of clinical cases.